The following statements relate to UNO and the Family Educational Rights & Privacy Act (FERPA) of 1974 - also known as the Buckley Amendment. Please contact the UNO University Registrar's Office at (402) 554-2314 with any questions. 1) The right to inspect and review the student's education records. 2) The right to request the amendment of the student's education records to ensure that they are not inaccurate, misleading, or otherwise in violation of the student's privacy or other rights. 3) The right to consent to disclosures of personally identifiable information contained in the student's education records, except to the extent that FERPA authorizes disclosure without consent. 4) The right to file with the U.S. Department of education a complaint concerning alleged failures by the University of Nebraska at Omaha to comply with the requirements of FERPA. 5) The right to obtain a copy of the University of Nebraska at Omaha's Student Records Policy. A copy of the policy is available at the Registrar's Office, Eppley Administration Building, Room 105. For information regarding the Student Records Policy, please contact the Registrar's Office at (402) 554-2314. 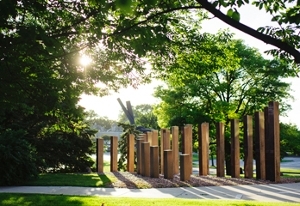 The University of Nebraska at Omaha maintains various records concerning students to document their academic progress as well as to counsel effectively with them. In order that the students' rights to privacy be preserved, as well as to conform with federal law, the University has established certain procedures to govern the handling of student records. Federal regulations, as they relate to student records, are governed by the Family Educational Rights and Privacy Act of 1974 (Buckley Amendment). Generally, this act provides that currently enrolled or former students have the right of access to their educational records and the opportunity for a hearing to challenge such records, if necessary, on the grounds that the records are inaccurate, misleading, or otherwise inappropriate. The University is allowed to select some information about a student to make accessible to the public. This information is called "Directory Information." Public Directory Information is student information that is generally available to the public. Non-Public Directory Information is not available to the public, but is generally available to any University Official or student. The names of students mentioned in some kinds of campus security or campus police reports concerning accidents and incidents may also be released to the public. Each major administrative unit shall define the kinds of reports and information that may be released to the public. Information contained in personal files of the student is considered confidential and requires written authorization by the student for release, provided such records, with names and personal identification deleted and kept confidential, may be made available for governmental or University-approved research and analysis. Public information pertaining to any individual student may be released by the Registrar upon inquiry, unless the student has requested that specific items not be released. A student's request to have "public" information withheld must be filed at the Office of the Registrar no later than the third day of classes of each academic session. Partial or whole lists of students by name and address will not be released for commercial purposes other than by contractual agreement with the University (the only agreement in force is to offer an optional student group health insurance policy). With the exception of the information noted above, all student records are considered to be confidential and are open only to University personnel (individuals under contract) who need the information to carry out their official responsibilities (assigned duties and functions). Although University personnel are authorized access to this information on a "need-to-know" basis (to perform specific duties and functions), they are not permitted to release information to persons outside the University unless authorized in writing by the student by a court order or according to the exceptions listed in IV-C. Only the official or designated person responsible for the records has the authority to release them. Records may be disclosed to a third party only on condition that the recipient will not permit others to have access to the information without the written consent of the student. (4) a clear notice that the information must not be released by a third party without the consent of the student. Students have the right to inspect, review, or receive an interpretation of copies of their educational records, except as excluded below. This right may be exercised by filing a Request for Access form with the custodian of the records to which access is desired. Such requests should be honored as quickly as possible and reasonable, normally within 48 hours; if detailed documentation and/or interpretation is required, the request should be honored within ten (10) days. In all cases, requests for such information must be honored within 45 days. If a copy(ies) of a portion or all of the records in a student's file is requested, the custodian of the records may charge a fee for copies made, provided fee does not effectively prevent students from exercising their right to inspect and review (under supervision of a University employee) their records. You may not charge a fee to search for or to retrieve records. Standard University fee in Printing and Duplication Services is five cents per original page; consult Printing and Duplicating Services personnel for other or additional charges. Each custodian of records is responsible for requiring proper identification of individual making the request about his/her records. (6) records of instructional, supervisory, and administrative personnel and educational personnel ancillary thereto which are in the sole possession of the maker thereof and which are not accessible or revealed to any other person except a substitute (an individual who performs on a temporary basis the duties of the individual who made the record). (8) institutions from which the student has received, or applied to for, financial aid. The Office of the Vice Chancellor for Enrollment Management shall be responsible for the proposal, interpretation, enforcement, and publication of general policies and procedures consistent with state and federal laws and guidelines as they relate to the creation, maintenance, use, dissemination, and destruction of records of students who are attending or have attended the University of Nebraska at Omaha, and shall coordinate the development of general policies and procedures with the appropriate University officials listed below. Note: Names of persons occupying positions listed, and locations, may be found in the Faculty/Staff Telephone Guide or at the University Telecommunications Center (Eppley Building, Room 119). Reports of a student's grades are not routinely sent to the student's parents. However, parents of a dependent student, as defined by the Internal Revenue Code, may obtain grades without student's consent upon presentation of a signed statement claiming that student is dependent. b. a confidential number (other than full Social Security number) or code is agreed upon between the instructor and individual student prior to the posting. The returning of papers via an "open" distribution system, e.g. stacking them on an open table, is a violation of a student's right to privacy, unless student(s) submits signed waiver to instructor for such purpose. A student may challenge the accuracy of handling of educational records maintained by the University on grounds that the records are inaccurate, misleading, or otherwise violate the privacy or other rights of the students. Students who wish to exercise these rights should file a Student Record Challenge Request form with the custodian of the records in question. Each unit which is responsible for a record system shall put into writing, including a form which can be made available to students, the appeal in hearing procedures which exist for that unit. (5) should the student disagree with the response from the Office of the Chancellor, the student has the right to place in the educational records a statement commenting on the information in the record and/or setting forth any reasons for disagreeing with the decision of the Office of the Chancellor. (3) receipt of an award or honor. These are the only areas in which waivers are allowed. A student's signature on a waiver is voluntary and is not required as a condition for admission, receipt of financial aid form, or receipt of any other services or benefits from the University. Students who sign the waiver will, upon request, be notified of the names of all persons making confidential recommendations and such recommendations will be used solely for the purpose for which they were specifically intended and will be released only in accordance with the University Student Record Release Policy. Revocation of waivers must be in writing to be effective. (3) all duplicate copies of permanent records, other than those maintained by the custodian of the permanent record*, and all non-permanent student records shall be maintained only for the minimum period of time required to serve the basic official function of the individual or department generating or maintaining them. Such records shall be destroyed as soon as they are no longer needed, e.g., within one year following graduation or two years after last date of attendance. A student will be granted access to his records prior to their destruction when the student has an unsatisfied request outstanding. Students are encouraged to report any violations and seek redress from UNO officials responsible for the area in which the violation occurred (see attached "Specific Procedures Pertaining to Student Records --II). However, complaints regarding violations of rights accorded students by Section 438 of the Privacy Rights of Parents and Students Act or the regulation, may be submitted to the Department of Health, Education and Welfare. Such allegations must be submitted in writing.